ProRehab is proud to announce that Kyle Matsel, PT, DPT, SCS, CSCS has received training and earned the professional designation of Sports Certified Specialist. ProRehab is proud to announce that Kyle Matsel, PT, DPT, SCS, CSCS has received training and earned the professional designation of Sports Certified Specialist. This board-certification is granted by the American Physical Therapy Association (APTA) American Board of Physical Therapy Specialists (ABPTS) and involves rigorous application and examination processes and provides assurance to patients and the medical community of Dr. Matsel’s skills and abilities. Dr. Matsel is recognized for advanced knowledge, experience, and skills in the practice of sports physical therapy. Dr. Matsel treats patients at the ProRehab Vincennes location. Similar to physician specialization, there are eight specialty areas in which physical therapists can be board certified. Roughly 6.5% of the physical therapists in the United States are Board Certified in a specialty. As of 2011, only 968 therapists in the United States are Sports Certified Specialists. Those with this advanced certification are considered to have a great depth of knowledge and skills in their specialty area of physical therapy. Kyle is a 2011 graduate of the University of Evansville’s Doctorate of Physical Therapy program. He received his undergraduate degree in Exercise Science from the University of Southern Indiana in 2008. Kyle is also a certified strength and conditioning specialist (CSCS) through the National Strength and Conditioning Association. Kyle is a member of the Sports Section of the American Physical Therapy Association and is interested in injury prevention and predication. 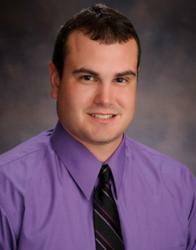 Kyle is also a graduate of the ProRehab/University of Evansville’s 15 month Sports Physical Therapy Residency Program. For more information about ProRehab, please visit ProRehab-pc.com. ProRehab is a private physical therapy practice with locations in Evansville, southwest Indiana and western Kentucky. Known for teaching and training physical therapists throughout the region, ProRehab physical therapists are proud that patients ask their doctors to send them to ProRehab for orthopaedic care. They deliver hands-on physical and occupational therapy based on the newest research to achieve the best results for patients with bad backs, achy joints, wounded hands, and sports and work injuries. Along the way, the ProRehab family has fun and makes friends with their patients; patients are actually sad to leave after their treatment is over! Find ProRehab on Facebook, @ProRehab on Twitter, and FourSquare.